Lonely woman walks out along a jetty over a beautiful lake at sunset. Her dog joins her as she sits down to contemplate. hd00:13Timelapse : Scenery at Marina Island Old Jetty with beautiful sunset.1080HD.Prores. 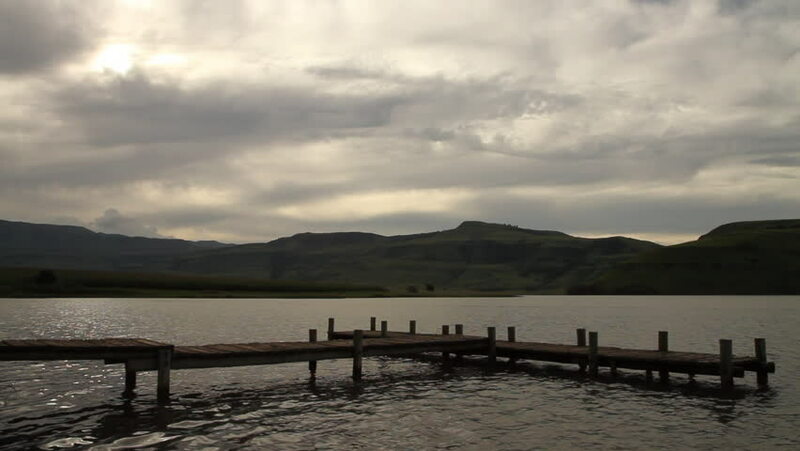 hd00:30Water gently lapping against the jetty in Bell Park Dam, which is located close to Cathedral Peak in the Drakensberg Mountains, South Africa. hd00:59Footage of plan flying over the lake with colorful morning sky, white contrails and mountains in background.